Did you know that it costs 5X more to get a new client than it does to keep an existing one? Did you also know that it is 50% easier to sell to an existing client than to a new prospect? Client retention is an important part of running any business and at SommEvents we understand that very well. Our imaginative wine events will create memories that won't be soon forgotten. Not only will you create great memories for your clients, these events will undoubtedly persuade your clients to refer their friends and colleagues to you. Now, that is great client retention. Here you will find some of the exciting events we create for client retention, but we don't limit ourselves to just these. Let's get together and discover the real impact you would like to make and we will create an event just for you. 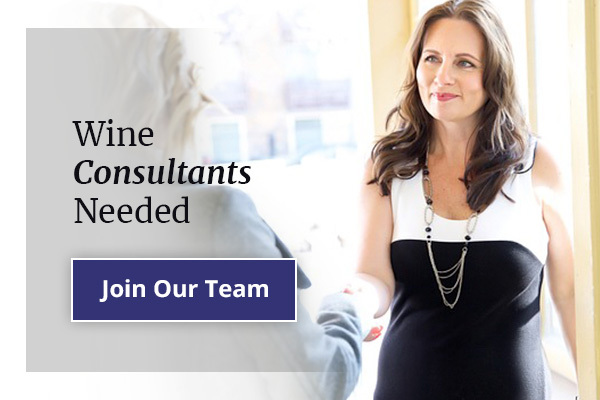 Grow Your Business Through WINE! "Which wine should I serve with that?" This wine experience unravels the mystery around food pairings. A true sensory experience, this is a structured tasting guaranteed to amaze the taste buds. Let our sommelier pair the selection of wine with a cheese, meat or an appetizer that will enhance both the wine and the food – from common knowledge to the highly unusual such as popcorn and sparkling! This food and wine experience can be enjoyed in your home, your office, in a winery or any venue of your choosing. The wines can be from a local Canadian winery or a private import from around the world. This event is a guided pairing to ensure that your guests will savour the full experience. These events are always remembered and cherished by the participants. This will truly make an impression! Have a meal catered by a professional chef and we will pair each course with the ideal wine. Choose your wine country or region and let us prepare the menu for your selection, or let us do the selection and pairing for you. Whether your group is large or small, this dinner is sure to impress. Both the chef and the sommelier come out of the kitchen to present each course and explain why the wine was chosen to accompany the meal. This option is available in a winery cellar, in your home or at a venue of your choice. Get ready for a fun evening filled with laughter, great food, and great wine. Enjoy a perfectly paired meal, featuring new selections from the host winery. This is a fantastic evening that will bring your group together to solve a murder mystery. Make this part of a multi-day event and/or bring mixed groups of people who may not know each other. However you choose to structure this event, the professional actors help the group come together and create an unforgettable experience for everyone involved (even the unfortunate victim). This event requires a minimum number of people and can be held in a winery or other location of your choice. Take a walk to remember by strolling in the vineyard to see first-hand the art of grape growing. Learn about the tying of the vines, the canopy and the harvesting of grapes with a winemaker. Follow the wine making process with a tour of the winery and learn how wine is made, from crushing the grapes to the finished product. On a lucky day, you may even be able to taste the wine directly out of the barrel. The vineyard experience can be hosted with a local historic perspective, a production interest or even an agricultural aspect. Do you have a particular country in mind? A certain wine region? Let's talk. We know people. What better way to relax and pamper yourself, your staff, or your clients, than a morning of spa treatments or a round of golf. After a morning of relaxation and enjoyment, finish your afternoon with a winery tour and tasting. These experiences can be tailored to your preference. A morning of spa treatments chosen just for you, or a round of golf with friends, accompanied by a golf pro. Either of these or both, depending on the preference of your group, followed by a lunch with a wine tasting. Let us plan your ideal day for your group, your spouse or your entire family.